A miner was remanded to prison after denying that he had marijuana for trafficking when he appeared at the Georgetown Magistrate’s Court on Tuesday. 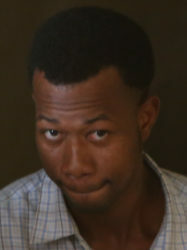 Steve Caesar, 26, of Berbice pleaded not guilty to the charge of possession of narcotics for the purpose of trafficking. It is alleged that on June 12 in the North West District, Caesar had in his possession 453 grammes of cannabis for trafficking. Police prosecutor Neville Jeffers told the court that the analyst’s report is still outstanding. Caesar was then remanded and the matter adjourned to August 2 when it will be heard at the Matthew’s Ridge Magistrate’s Court.